Welcome to Morocco film production! 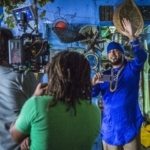 Morocco film production have provided services and support for projects with budgets from a few thousand to millions of dollars – TV Series and Feature Films, Commercials, Corporate Videos, Photo Shoots, Reality TV and Web-Based Programming and more. Our experience encompasses car commercials, shoots with process rigs, Russian Arm and helicopter set-ups, fashion and lifestyle commercials and photo shoots, electronics, consumer products, music videos, scripted and non-scripted television series, feature films and documentaries. Morocco Film Production is the premier company that provides complete film production services in Morocco. The varied hues of Morocco make it the perfect destination for all kinds of movie projects. 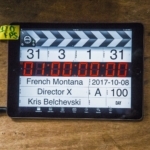 Easy accessibility from western countries and the availability of a range of locations for shooting films in Morocco have led to filmmakers all over the world flocking to Morocco for shooting their dream projects. Film Permit and Government Authorization: We have years of experience in helping film makers and directors get legal and government permissions to shoot in Morocco. We make sure that all the legal work is done in a quick manner so that you can get to work as early as possible. High Quality Casting in Morocco: We can help you get high quality Casting in Morocco for shooting in Morocco. Whether you are shooting television shows, documentaries, music videos or TV commercials, you can get advanced audio equipment, grip equipment, lighting equipment and more on rental basis when you choose our services. Professional Crews: We can help you hire professionally trained technicians and artists for any kind of filmmaking project. We can not only help you cut down on the costs but can also help you find experienced people who are well-versed in many languages. We also provide services like location scouting in major cities of Morocco to find the perfect location for your filming project. With us you can rest assured of the most professional and highly affordable services for filming in Morocco. Contact us for any kind of film project with detailed requirements and storyboards, and we will revert to you soon. Thanks for visiting us.